It was a little over a year ago that I really started to deep dive into spindle spinning. My hip was giving me some trouble and sitting at my wheel was uncomfortable and I was not in a position to get a different wheel, so a very wise person said, “Sarah, have you tried the spindle?” And the rest, as you know, is history. This week, I was reminded why that simple question was instrumental in changing the course of my everyday life. Because, you see, I now carry a spindle almost everywhere with me. I still bring knitting, of course, but there are certain moods and certain spots that are more favorable for one or the other. 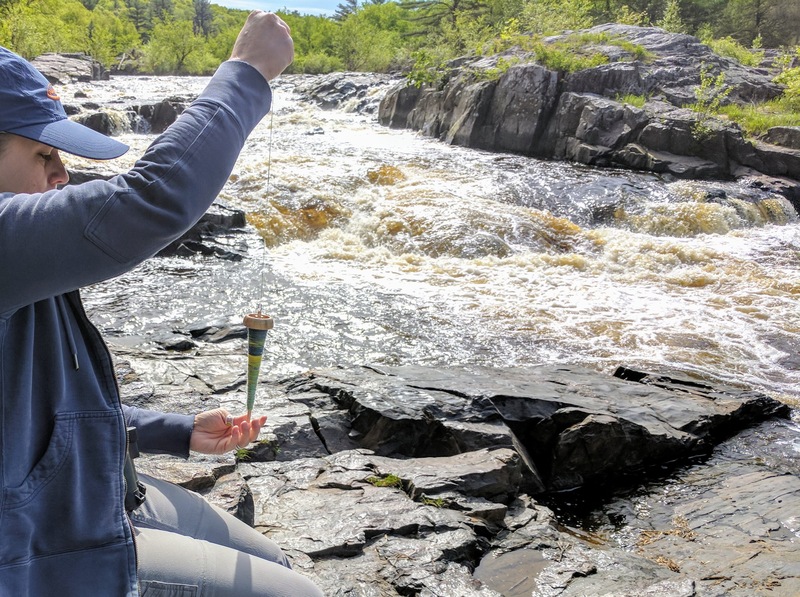 And this week, it was all about my best spindle spinning spot yet. I was able to sit up on a ledge, so I had a long area in which my spindle could drop. Right next to the waterfall, the kids playing below in some puddles and Mr KS lounging and photographing on some rocks up above. It was just grand and in this moment and in this place, the spindle was just the perfect match. And the spinning was pretty sweet, too. They are lightly textured rolags so they are super fun to knit with little slubs spun into them. I’m trying very hard to get this spin done and spindles emptied before the Tour de Fleece opens at the beginning of July and this day of spindling definitely helped. The other bottle had a huge top and this one is a little more easily portable because the top isn’t quite so bulky. In any case, since I’m often around water, this protects my spinning if I should drop it and it keeps it dry. It has plenty of room — You can’s tell from the photo, but I actually have 2 Golding Ring Spindles and 4 rolags in this thing. I usually don’t carry a ton because I’m not a super fast spindler, but after almost burning through my usual 2 rolags last time we hit the trail I took 4 along with me on our latest outing. The best part, however, is that it fits right in my backpack side pocket. 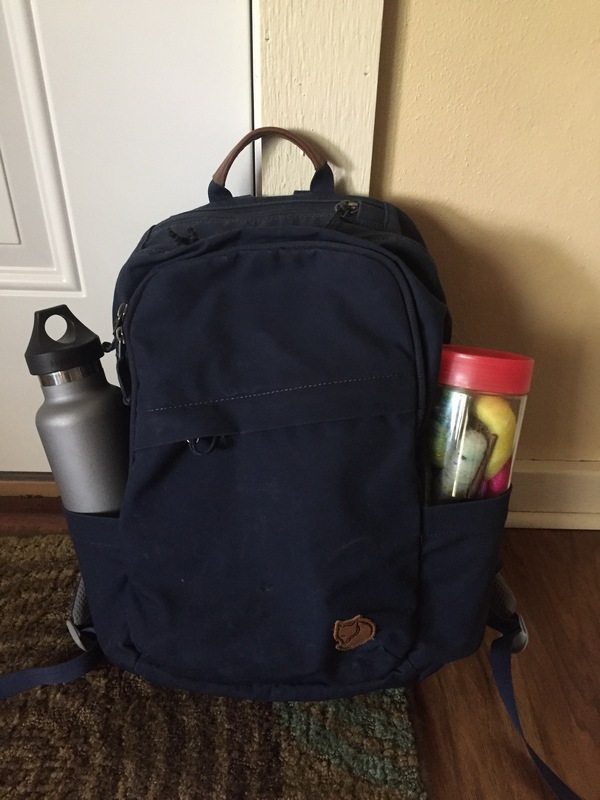 If you happen to run into a lady on the trail or around town with this set-up happening, it’s most likely me. Or someone else who is very brilliant and fashionable. OK, I’m kind of joking there, but seriously give anyone you see with a bottle of spindles a hi-five for me because they clearly deserve it. 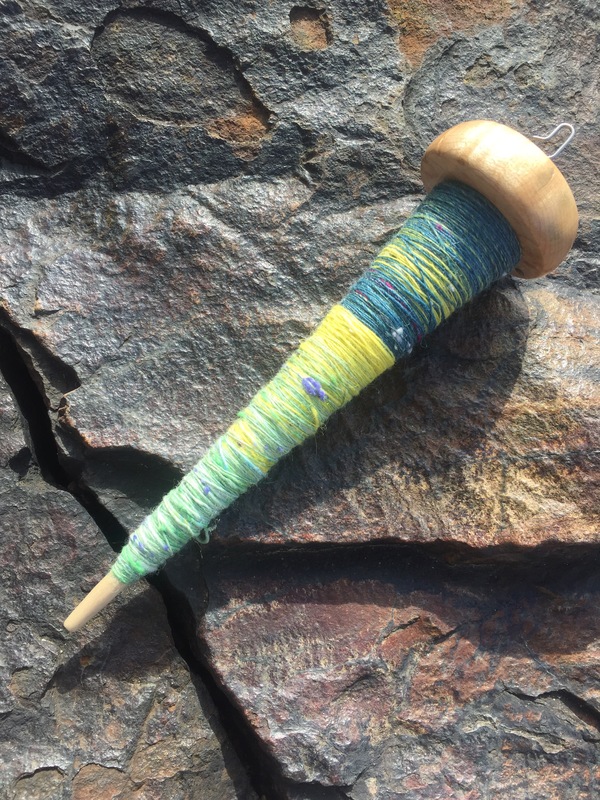 So if you’re wondering if you should pick up a spindle — whether you aren’t a spinner or you’re proficient with the wheel –I’m thinking the answer might be yes. 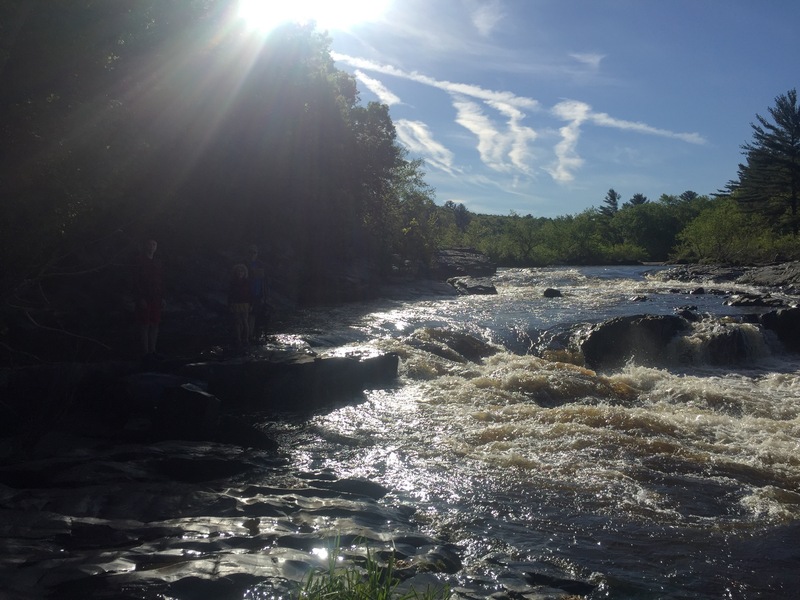 Because it’s a pretty fantastic way to spend a few hours in a beautiful spot where ever you might be! Details on the new bottle? I bought it on Amazon…. I can try to turn up a link if you’d like! This is totally inspiring! I may have to pull my spindle out! The water bottle is such a great idea! I am often worried about getting something wet or sticky on my purse knitting, but wet spinning fiber would be much worse! Yes! I was really motivated to have waterproof because we are around water a lot and I wind up stuck in the rain a fair bit. Now my spindle comes along worry free. I’ve always wanted to get “into” spindle spinning, but every time I try I feel like there’s something I’m just missing. Do you have any tips for someone starting out? Or is it just patience and practice (grrrr…)? 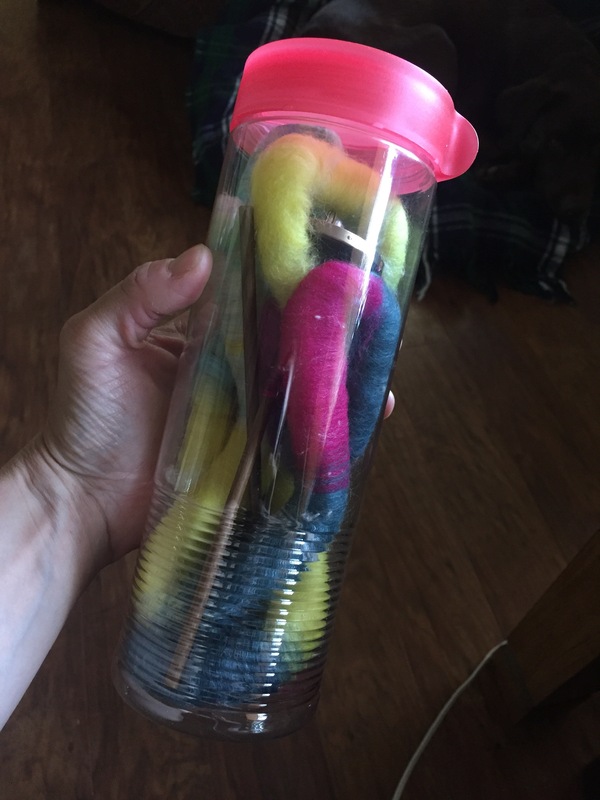 The water bottle is a fantastic idea, though, and I might actually try that for my sock knitting! I usually put it in a little bag but then the DPNs tend to poke through and stab me, so a smallish water bottle might be perfect. As for spindle spinning, I was TERRIBLE when I started. Yes, patience and practice make it happen, but additionally my best advice is: 1) Try different spindles. I tried 2oz low whorl forever and could not get it. I switched to a 1.2oz hi-lo from Schacht and it started to click. Then I got a 1.2oz Turkish and I actually made a miniskein. Then I went down to .85oz high whorl and then I was cooking with gas! I think for me finding a tool that clicked for me helped immensely. And 2) watch and read as many tutorials as you can. Just like tools, finding the right teacher or explanation is huge! Thanks, that’s a good tip! I’ll try out some different spindles, because I’ve only ever tried on one! I have a feeling the shape might be a factor for me, since I have a Turkish one and it’s always felt a little “tippy” or unbalanced to me.